Call it what you will, but these questions, yes all of them, have really been asked in the presence of one or more of my children. I have learned to respond directly and firmly, teaching my children that no adult should use their size, age, or status (adult=authority) to bully our family. My children have a right to privacy and respect, and yours do, too. How much did your child cost? Do you run a daycare? Do you run a preschool? 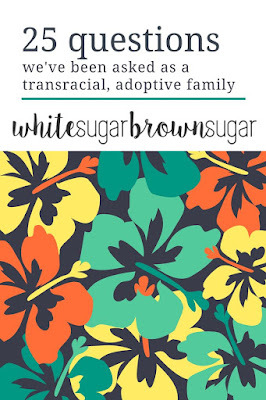 Why didn't you adopt a white child? Why didn't you adopt from another country? Aren't adopted kids messed up? Didn't you want a girl? Why did their birth parents not want them? How old is her birth mom? Did his birth mom use drugs? Was he born addicted to drugs? Why didn't you have your own kids? Why didn't you try IVF? 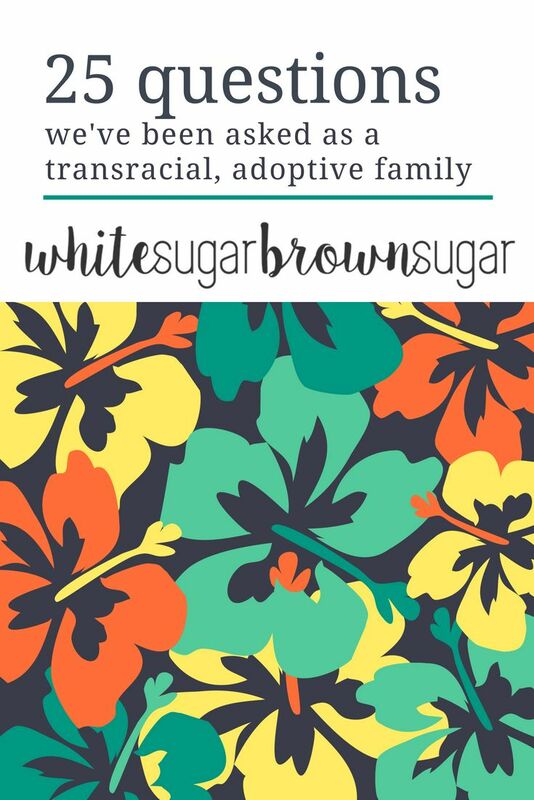 Isn't open adoption confusing for your child? Weren't you scared the birth mom would change her mind? You have your hands full, don't you? Aren't little mixed babies just the cutest? Is she mixed or full? How long does it take to do all that hair? Isn't it so hard to do their hair? Now that you've adopted, are you going to try and have a child of your own? How could someone give away such a beautiful baby? If I could teach people one lesson, it's this: THINK before you speak. Think about the children by my side, the ones who have feelings and thoughts and experiences. Think, would you want a random stranger to ask you a deeply personal, intrusive question and look down upon you waiting for your answer? There is only one thing that a random stranger should say to a family like mine, a family built by adoption: You have a beautiful family. If you're new to adoption, I encourage you to formulate response to the unexpected questions in advance. If you are parenting older adoptees, encourage them to participate in those responses (what they're comfortable with). Don't be afraid to stand up for your kids and their privacy. You do not owe a stranger an explanation or an answer. Lead by example. Your children are listening and learning from you. Bestow upon them confidence, conviction, bravery, and authenticity. You've got this! What's the worst question you've been asked? How did you respond?